(Highlight to View) Prompt: Crookshanks is introduced to Severus' new kitten, and mayhem ensues. Note: Made with Copic multiliners (ink) and Copic Sketch (colour) markers. Yes, Severus is a fan of The Hobbit. Summary: It's the day after Severus and Hermione's wedding. They are due home soon. 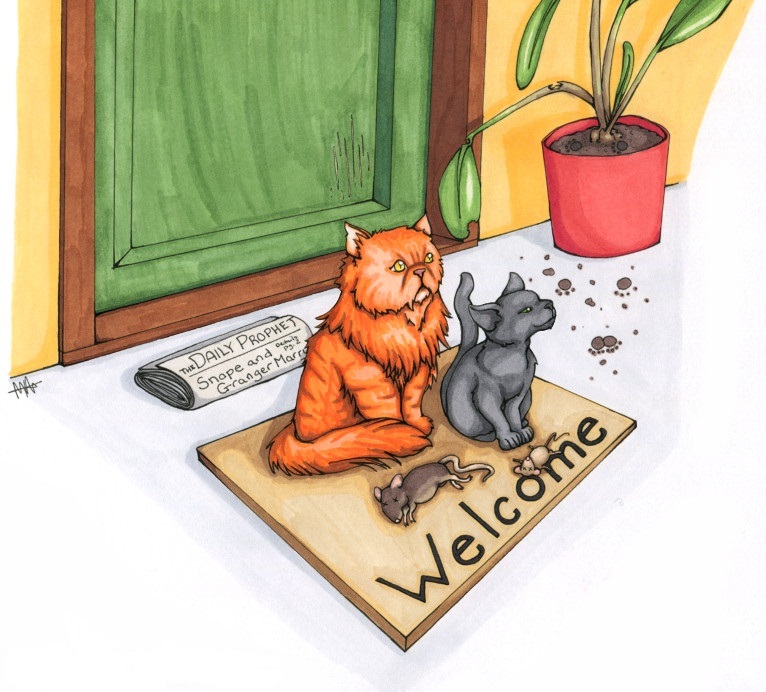 Crookshanks and Smaug, Severus's Russian Blue kitten, wait with their gifts for the happy couple.